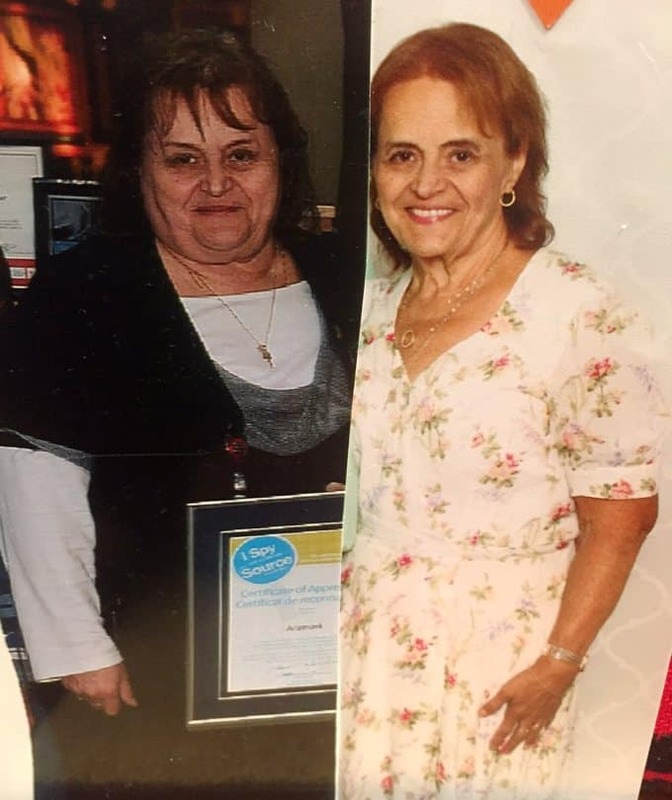 Home » Weight Watchers Recipes » WW Weight Loss Success Story #49 – Sharon L.
Weight Watchers Weight Loss Success Story: Sharon L.
I’m so excited to be sharing another inspiring weight loss success story with you today. Read on to discover how Sharon took charge of her health, lost 142.5 pounds, became a lifetime WW member, and continues to live the lifestyle, maintaining her goal! My husband and I retired on Dec. 24, 2013, and decided to go away to Myrtle Beach to celebrate our accomplishments. So in March, 2014 we left for 5 weeks. We were so excited to think we could walk the shorelines and beaches. The next morning we started out with good intentions of walking for hours, but to my surprise I only lasted maybe 15 minutes and had to give up. How disappointing for both myself and husband. Without saying much, my husband continued to walk and I had to go back to the condo to rest for I had a heel spur, sore joints, sore back and out of breath. My eating habits had to change to save my life. I was obese, unhealthy and ashamed of myself. I began to eat a lot of fruit, vegetables and protein. Tracking was my best friend. I weighed my food and learned the point system to survive. I knew with the support of my husband, family, friends, WW leader and members, I could do it! No more bad eating habits of junk, fast food and sweets. It was time to take control of my life. At first I could hardly walk, but with determination and my husband’s support, I began to walk a little further each day. And I purchased a WW pedometer to count my steps. I started out at 1,500 a day, reaching up to 5,000 to 10,000 a day, 5 days a week…wow! My health has improved 100% going from high blood pressure to normal count. No heel spurs, sore joints or out of breath. I can’t explain the feeling of being able to walk into any store and buy clothes off the their racks. I went from size 24-26 to size 12-14 and of course I feel like a new person. Even though I lost all this weight, I still have a sweet tooth. So I tried a lot of Weight Watchers recipes and found these two simple tasty recipes off the WW site. Pineapple Cake in a 9×13 pan sprayed with nonstick spray. 1 box of angel food cake mix dry and add one can of pineapple tidbits with juice..15 oz. can. Mix together and pour into your pan, then bake @ 350F degrees. You can serve with light whip cream. Cut into 16 pieces @ 3 SmartPoints each. I joined Weight Watchers May 31st, 2014, weighing in at 321.9 lbs. and on a mission to get to goal this time for sure. It took me 21 months to lose 142.5 lbs. and reach my goal. Then 6 weeks maintenance and receiving my WW Lifetime Membership on April 6th, 2016, and staying within my goal limit, through today. I want to thank my husband, family, friends, WW leader and members for all of your support. Thanks for all the encouragement along the way. At first people will ask you why you’re doing it? Later they’ll ask you how you did it? I feel and look like a new person. 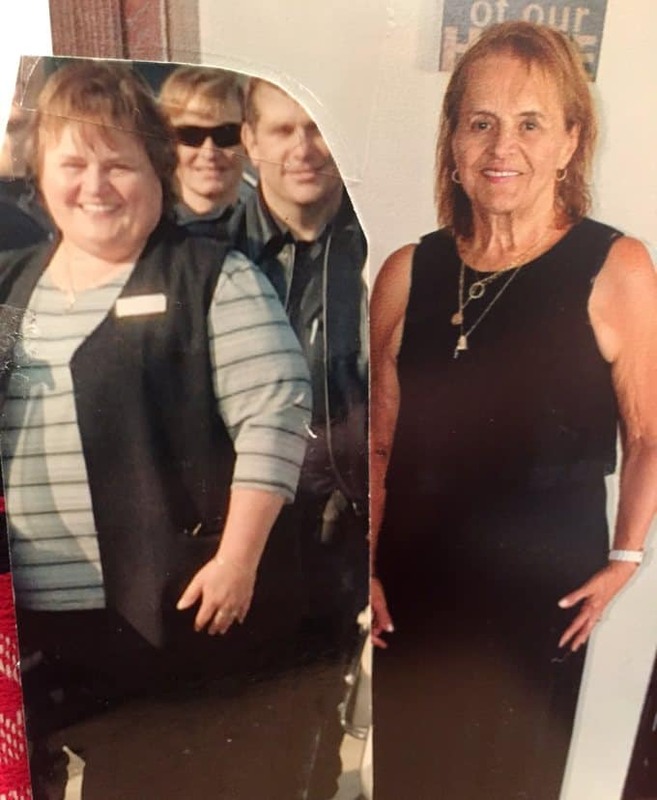 Previous Post: « Weight Loss Success Story #47 – Ashlynn D.
I found Sharon’s story very inspiring. It’s unusual to read success stories for older women. Thank you for sharing yours! Sharon is my mother and I must say that I am very proud of her! She set her goal and not only reached it but has maintained it. She is in a much better place, both physically and emotionally. I am so very happy and proud of her! Sharon, you’ve worked hard, your truly an inspiration. Congratulation on this wonderful recognition.